Something that all Lao people should be made aware of is the Filipino contribution to Laos. This is something I just learned recently myself. And I thought it was definitely worth sharing. I admit a bit of ignorance on this. Until recently I didn't know the extent of Filipino contribution in Laos now or previously with many having done a great deal of humanitarian work. I can only remember reading some war history books that mention briefly that the Phillipines sent some workers in support of the pro-Western faction during the time leading up to 1975. But that brief mention in what I read had no real details of what they did or how many actually went. Incidentally, a few weeks ago, on Nov 22 2012 to be exact, we received a private message on Facebook from a Filipino lady named Renee. She sent us a kind and thoughtful compliment on our website. Through our brief messages on there, she also mentioned that she had worked in Laos in the pre-1975 years. 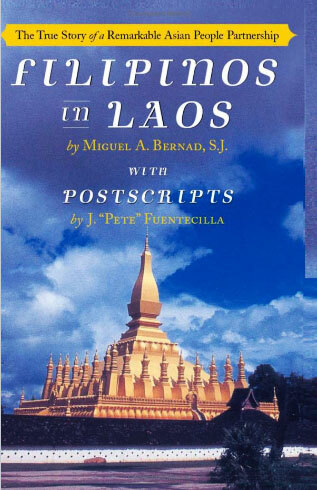 It got me thinking more about the Filipino community in Laos. And this is where I set out to do a bit of research. I found 2 books published by former humanitarian workers. They document and share their stories of their time in Laos and in some chapters the experiences of others, among other things. Further details are noted below. 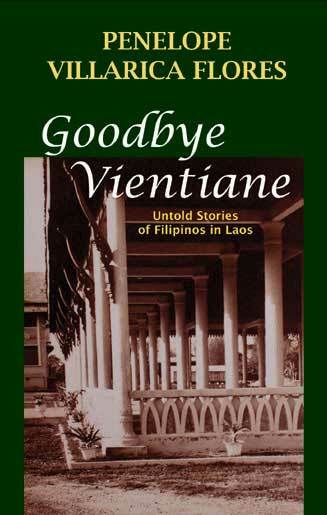 - Untold stories of Filipinos in Laos from 1954-1975. Stories are from Dr. Flores as well as others are encompassed in this book. It's essentially a compilation of fascinating stories from different perspectives. Her book also has some Lao cultural explanations. For more info on the book and if you want to purchase it, be sure to check out the link noted above. - Along with some interesting photos, it's essentially a historical book documenting the non-combat support roles of more than 900 Filipinos in Laos during the Indochina War years of 1950s to the 1970s. For more info on the book and if you want to purchase it, be sure to check out the link noted above. Many of these expats were a part of a Phillipine humanitarian volunteer group dubbed Operation Brotherhood. That organization came to an end and so they came to form an organization called Mekong Circle International comprising members who were expats who had worked in Laos. To learn more about them, click on the link. Sidenote: As some of you may also be aware the recent 9th ASEM conference was in Vientiane last month (Nov 2012). The current Filipino President Aquino made a special visit to the local Filipino community in Vientiane where they held a dinner, speech and discussion at Mekong II Restaurant where he was met with 200-300 Filipinos in attendance. There is said to be currently 550 Filipinos currently working in Laos in a variety of positions ranging from teachers, engineers, consultants, nurses, accountants, hotel, restaurant and office workers and those in the mining and garments industries as well.